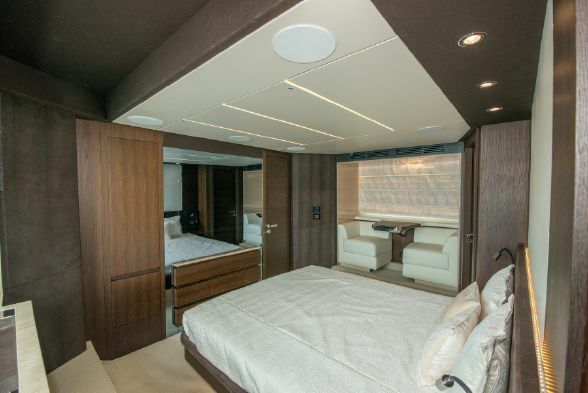 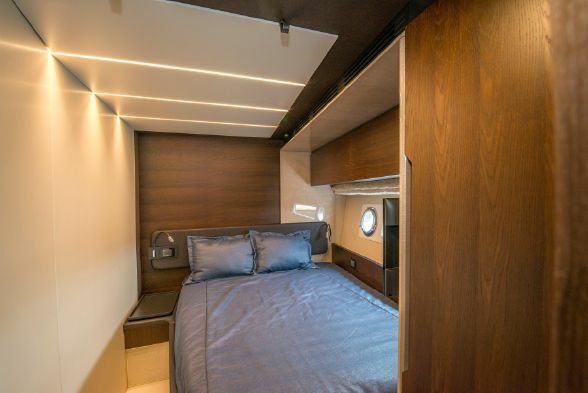 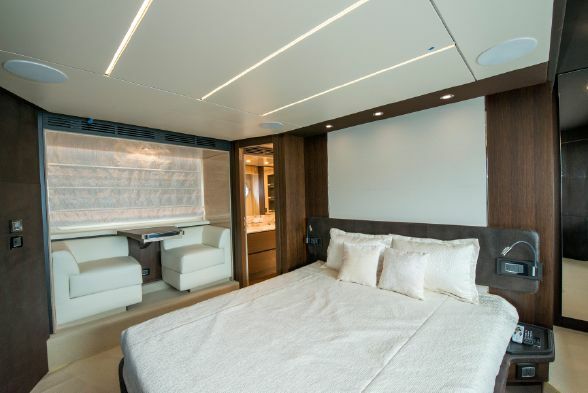 The luxurious Azimut 72 offers a high-tech build and spirited performance. 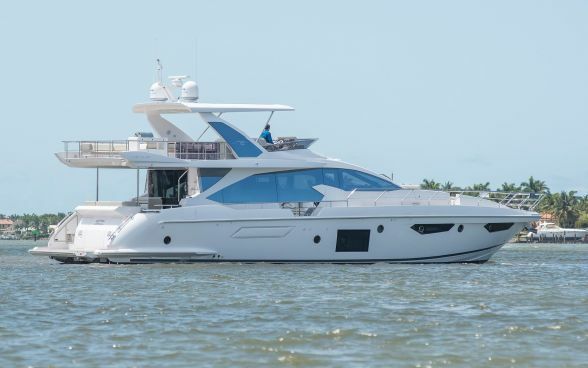 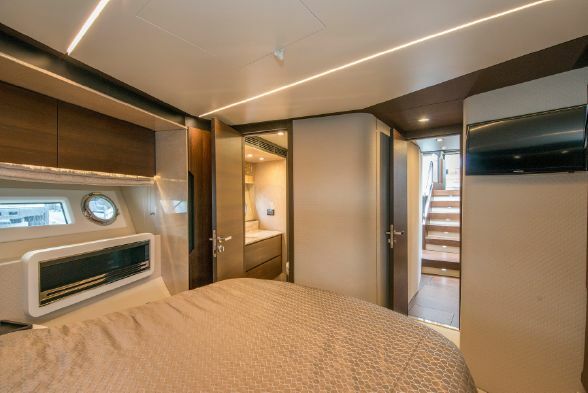 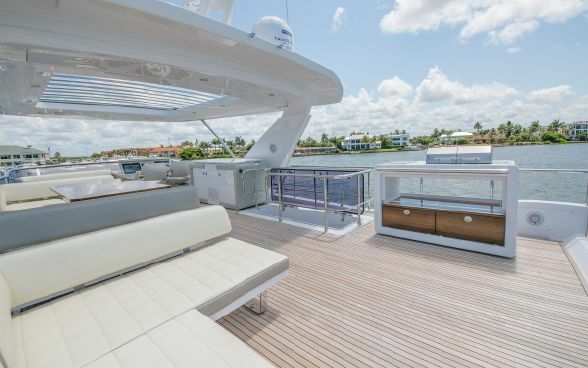 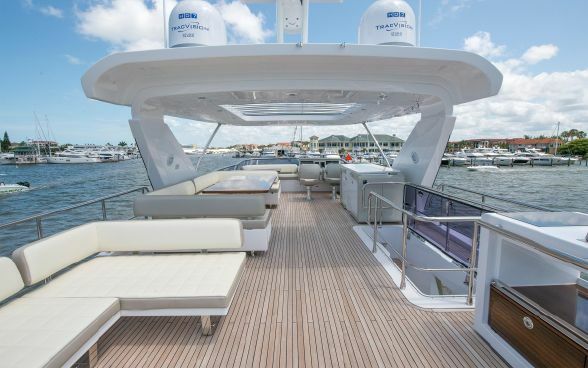 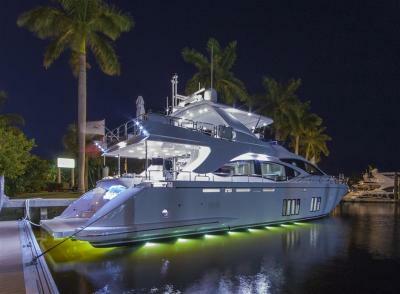 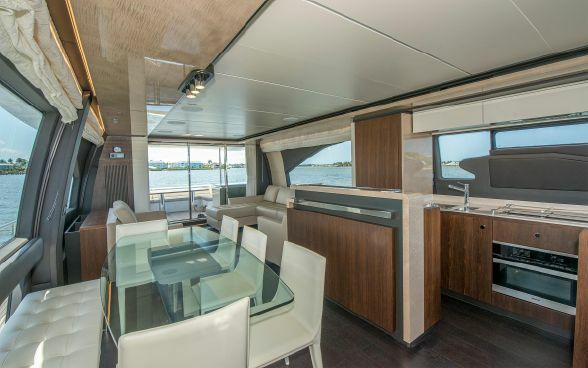 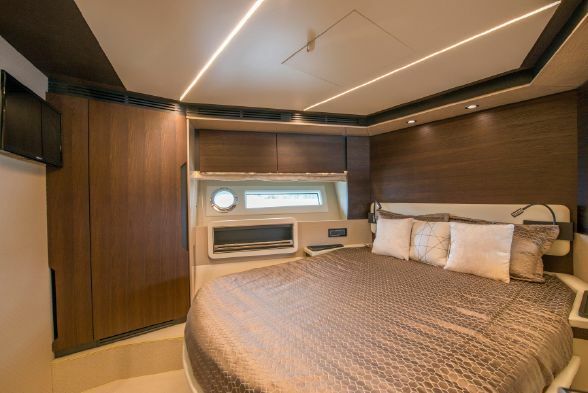 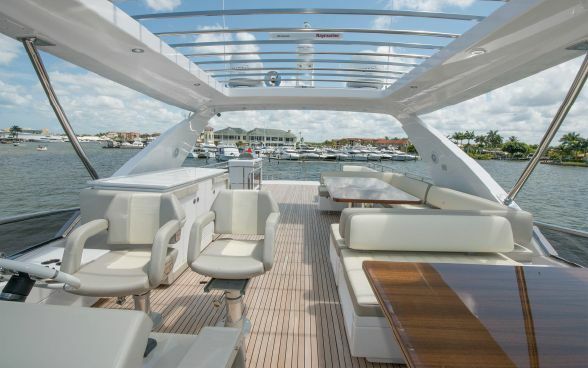 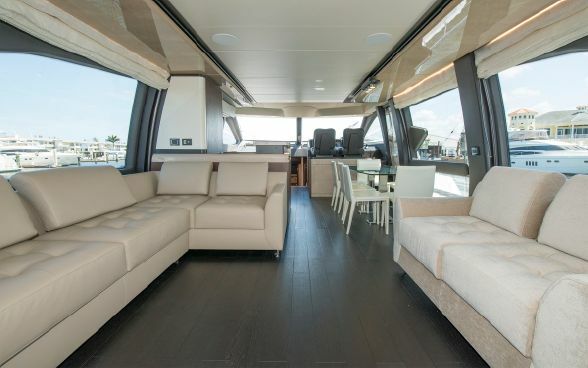 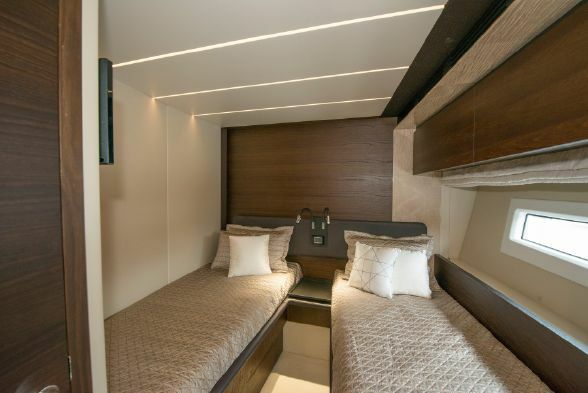 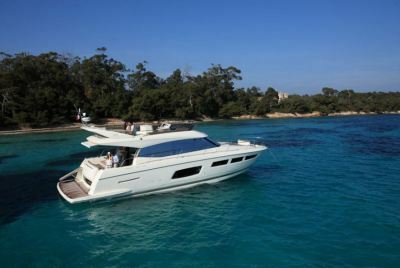 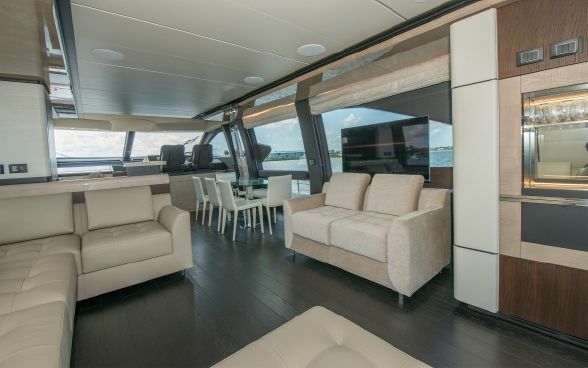 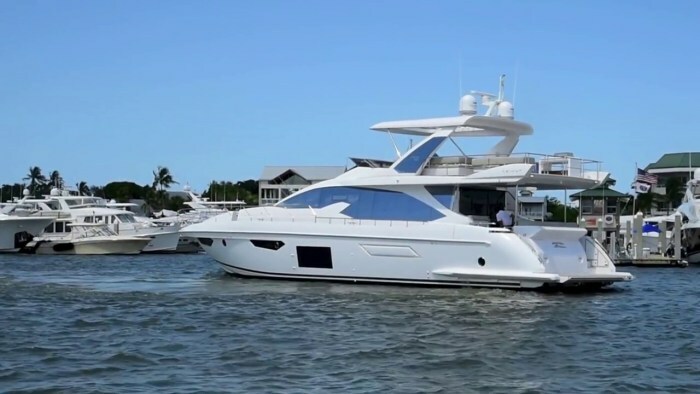 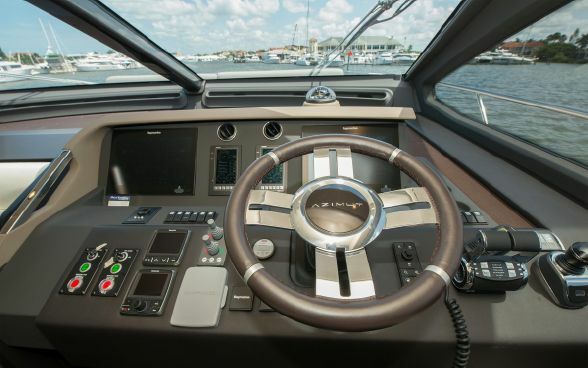 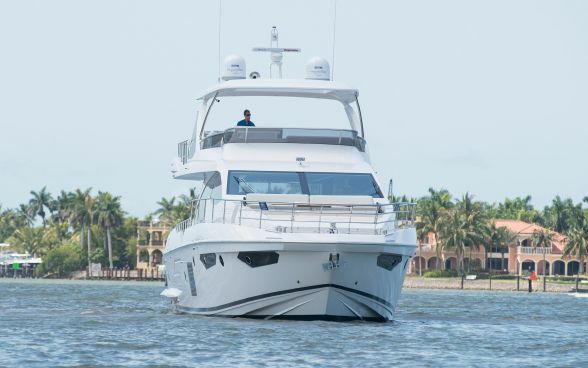 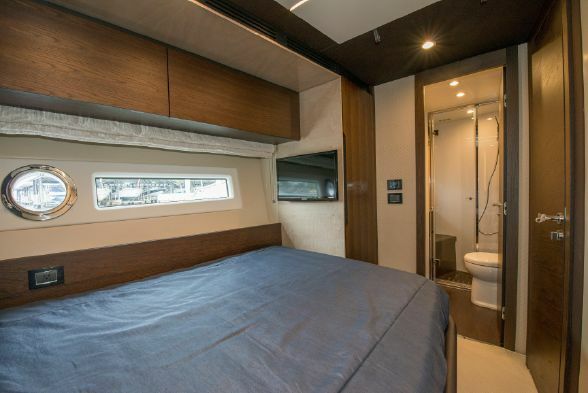 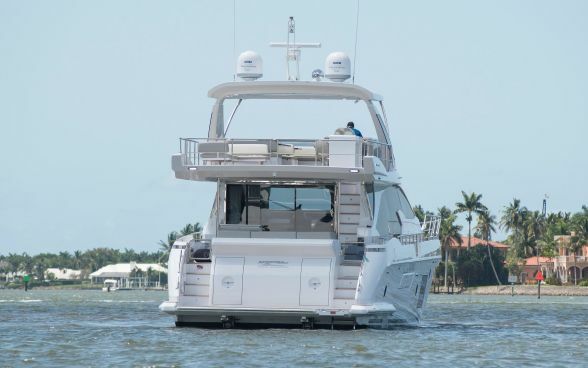 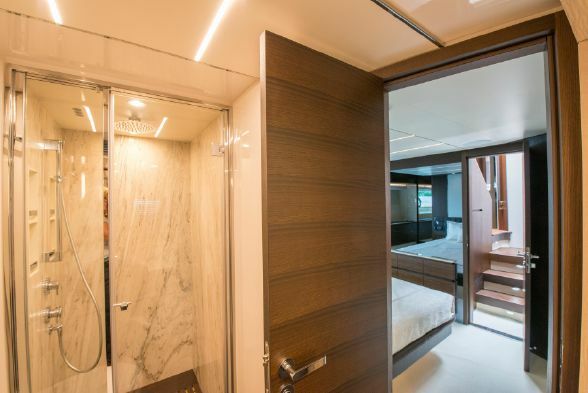 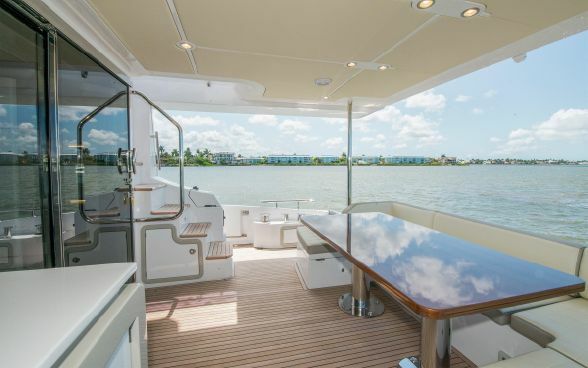 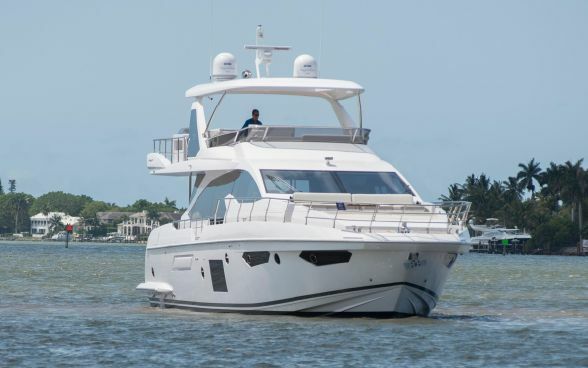 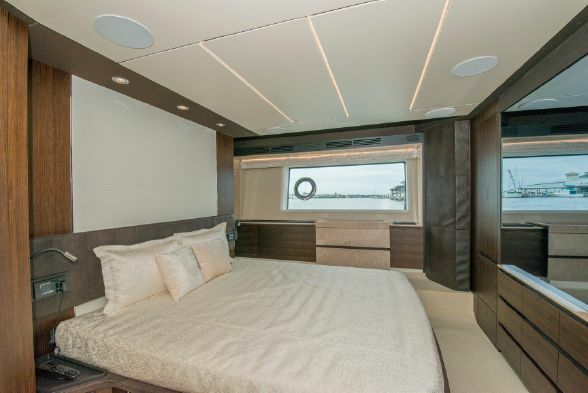 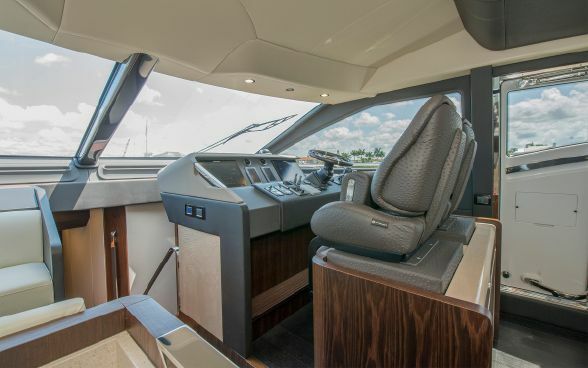 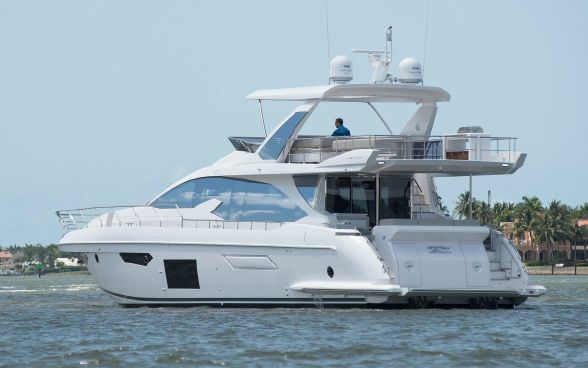 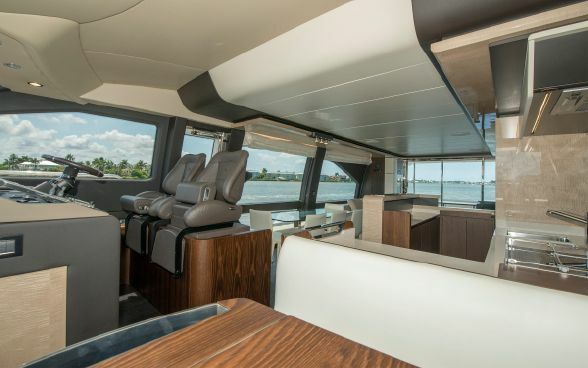 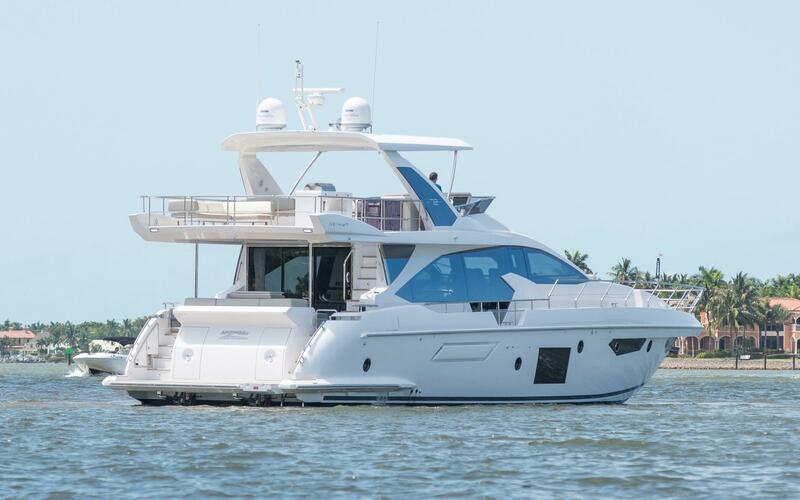 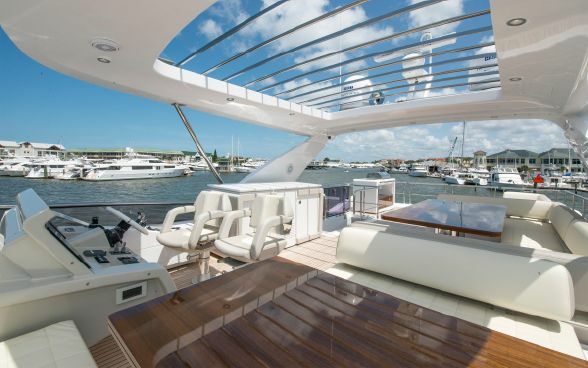 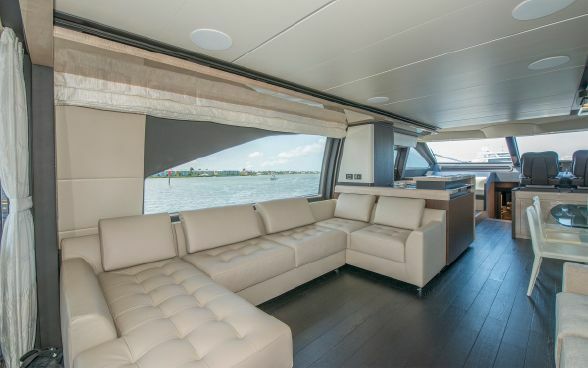 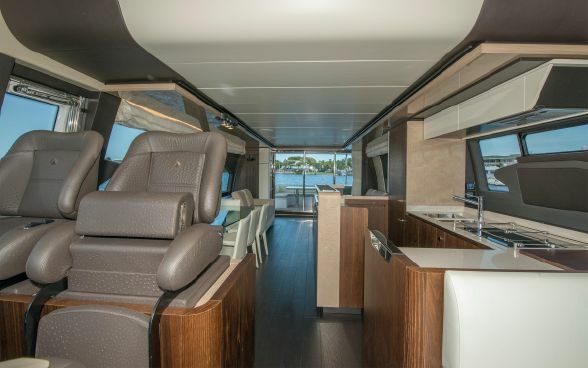 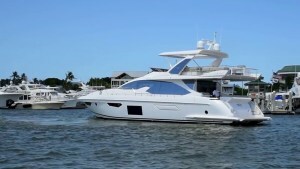 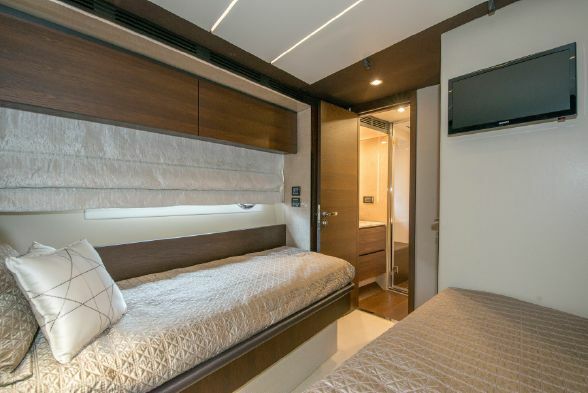 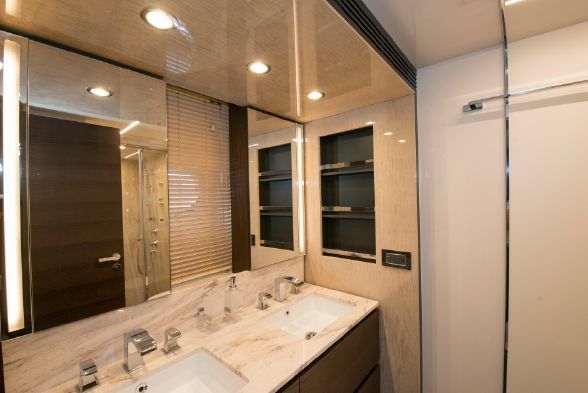 The 72 is only 4 feet longer than an older Azimut 70 but has 25 percent more volume. 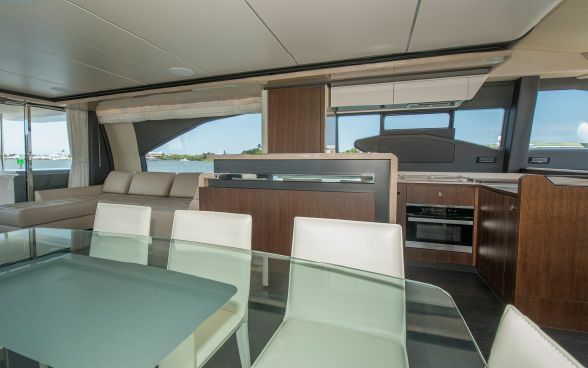 More space, more volume, and a huge flybridge are the exceptional features highlighted in the 2017 Azimut 72 FLY, made possible by the all-carbon superstructure. 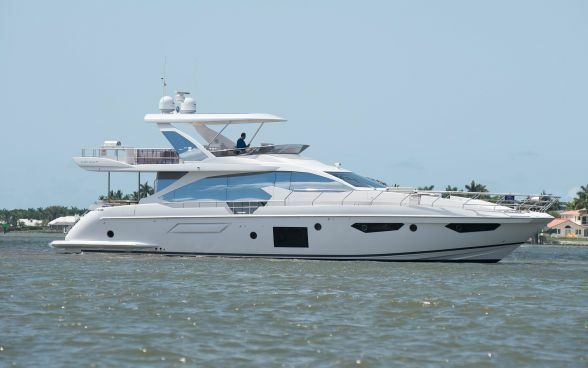 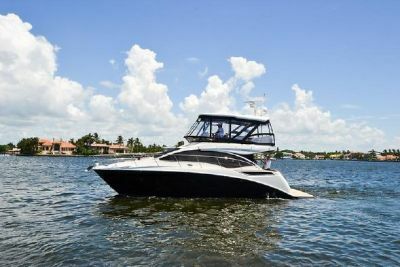 This Azimut is located in Florida, please contact us at 514-521-1221 for all details. 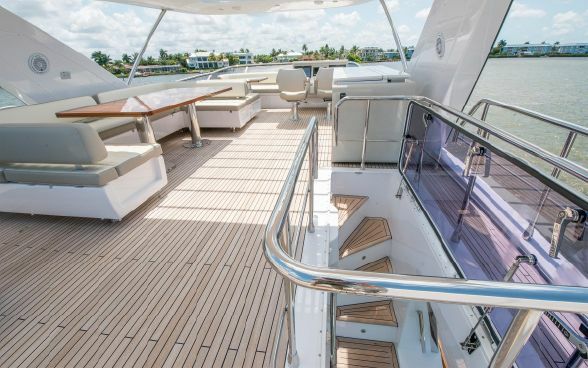 Can be accessed from the cockpit, via a teak-covered GRP ladder. 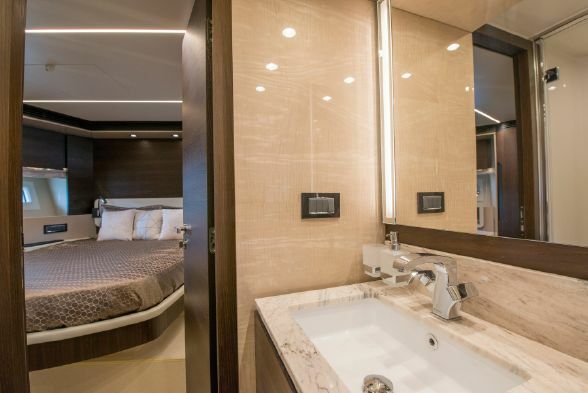 Alarm indicator lights for: bow bilge, engine room bilge, rudder hold bilge, high gray water level, high black water level, Racor filters, navigation lights, shore power sockets, low battery voltage, low diesel level, fresh water tank level gauge, diesel tank level gauge. 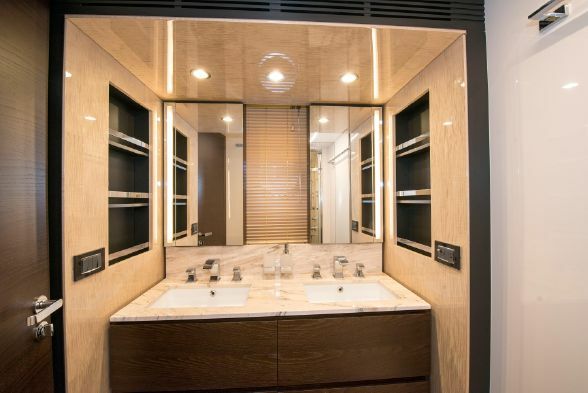 Furniture in pickled oak + HiGloss pre-stressed ebony.